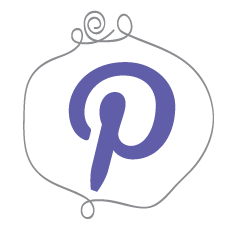 I wrote a guest blog post recently for my LYS This Is Knit about a feature I noticed on Ravelry. 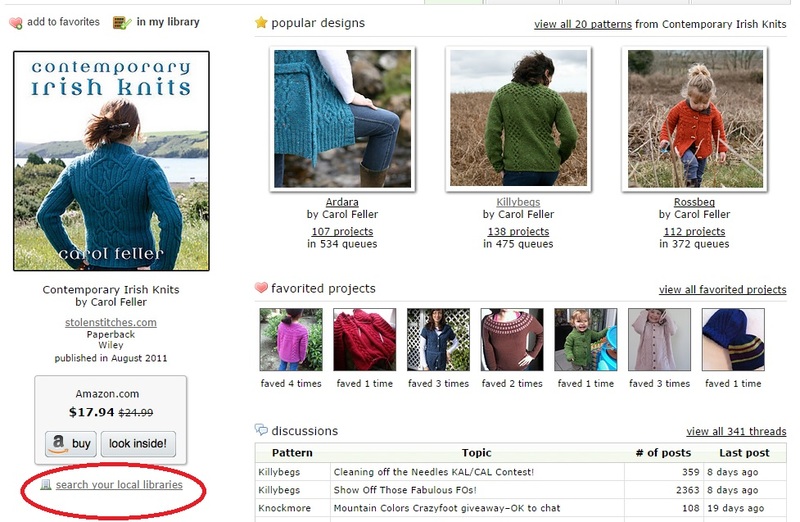 If you’re browsing knitting books on Ravelry you can now search WorldCat, a library catalogue aggregator, to see if any libraries need you have the book. In case you didn’t know I qualified as a librarian about a year ago. So this link was very intriguing to me. I’m not sure how many Irish public libraries have signed up to WorldCat, but Irish library users can search BorrowBooks.ie, and in some cases use inter-library loans to get a book sent from another library to their local library. This is exactly why libraries exist – to give everyone equal access to information and education (and knitting patterns). […] If you are not a member of your local library then why not? You can find a full list on the Ask About Ireland website. Think of all the money you can save on knitting books that you can then spend on more yarn. See? Genius. 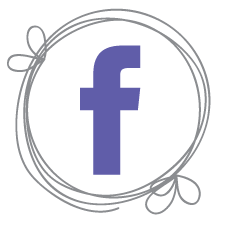 Now, off you go to read my original post on This Is Knit’s blog, then come back and let me know what you think. At the beginning of Semester 2 I decided I needed a fairly straight forward project that I could work on in the evenings when my brain shut down. After spending far too much time on the Ravelry pattern search I chose Renita which is a “shawlette with a shallow triangle shape”. It’s knit side to side so each row only has a small amount of lace that I felt would keep me interested. 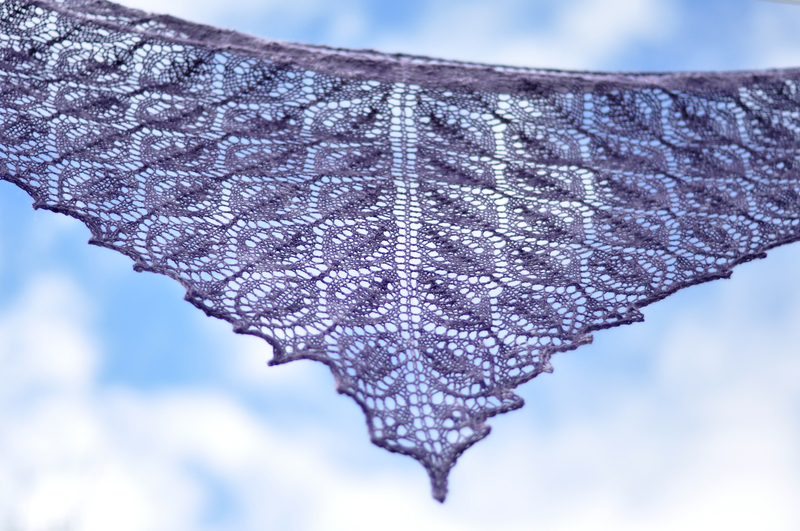 Blocking really helped to open up the lace and finish the shawl. 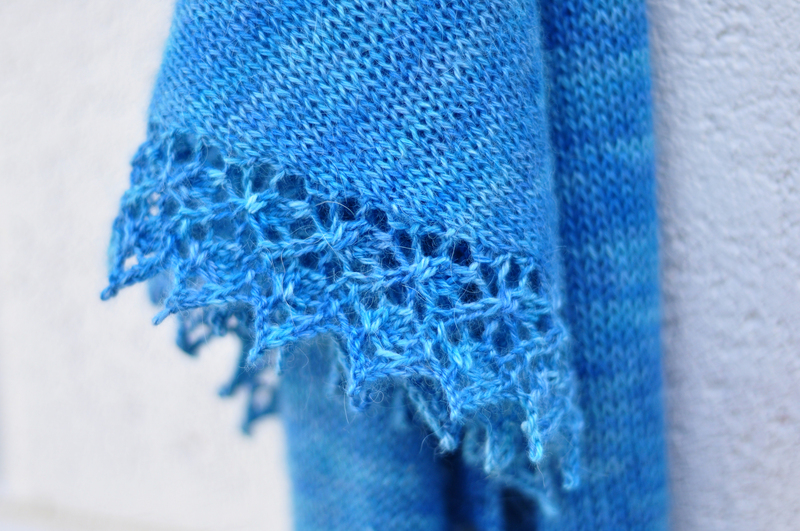 I used some of my beautiful Coolree yarn, Alpaca/Silk/Cashmere in Hokusai’s Wave. So yummy and soft and a dream to knit with. The other thing I liked about this side to side shawl was that I could measure how much yarn I was using and when I had used a little left than half I started decreasing instead of increasing to make the most of the yarn I had. I also felt that the shape would be very wearable as a scarf, although now I’m not so sure. I’ve yet to actually wear this. It might be gifted at some point if I find the right person. The yarn is quite expensive so it seems a pity for it to sit unworn, but as a process knitter (rather than a product knitter) that only bothers me a bit. 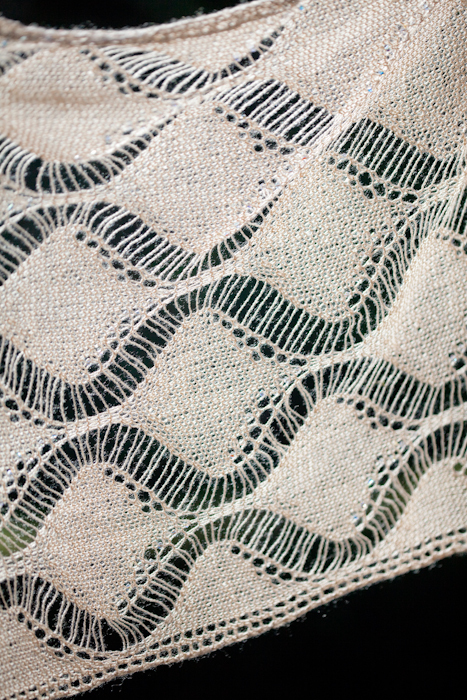 The yarn is so soft, almost too soft so the top rolls a bit despite the garter based lace border. Semester 2 is now over and I feel like I can breathe again. Those last few weeks were really tough and I’ve now had my first few days off in months. I’ve actually finished a few projects recently that I haven’t blogged about yet. I was so busy working on assignments I couldn’t bear to keep working at the computer writing for my blog but I did have time for knitting in the evenings. In fact I gave myself a few hours dispensation every evening to relax and unwind before bed to help me sleep. So I’ve finished three shawls in the last few months, as well as my Colour Affection. 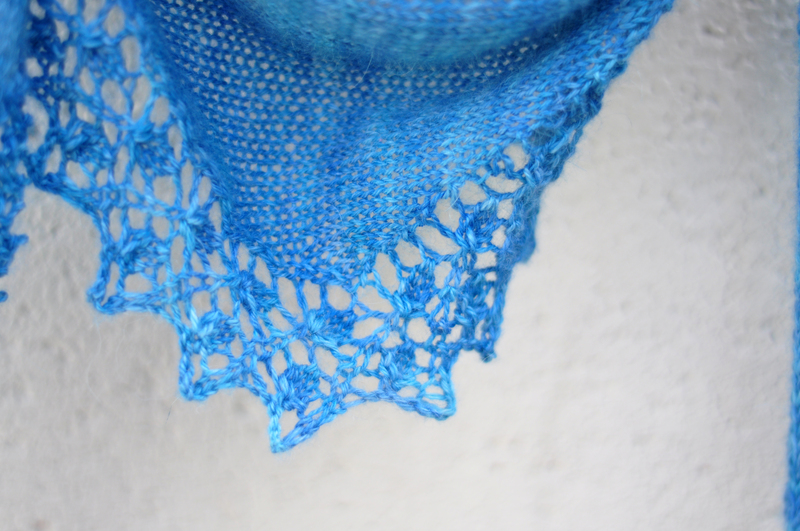 I’ve been on a bit of a shawl buzz recently, but I’m not sure why. 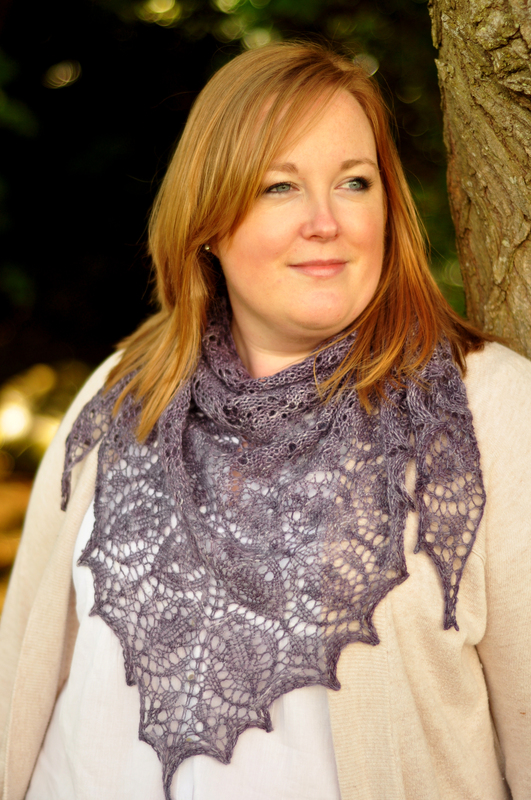 This is the most recent finished shawl. The photo below is courtesy of my hubby who was very patient and trekked around the park with me today trying to avoid the rain showers. 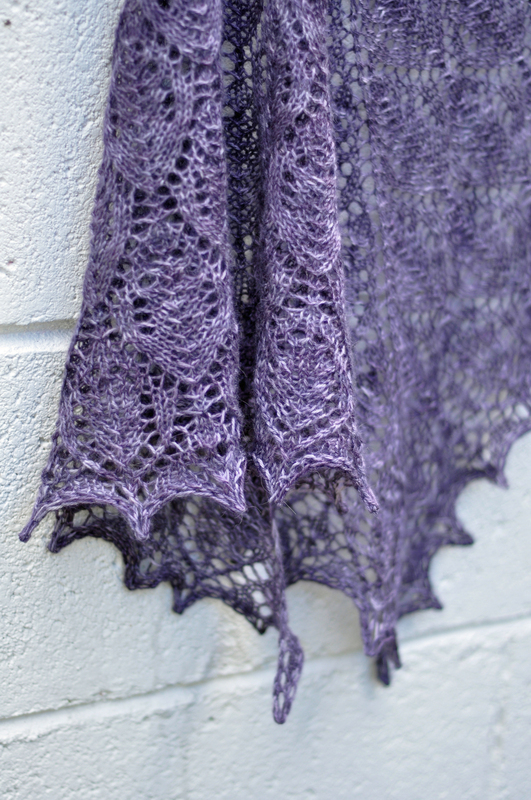 The pattern is Blight by Deborah Frank and the yarn is Coolree Alpaca/Silk/Cashmere 4ply in the colourway Byzantium, which is a beautiful purple. I wanted a pattern that would be a bit of a challenge and when I spotted this one on Ravelry I was hooked. 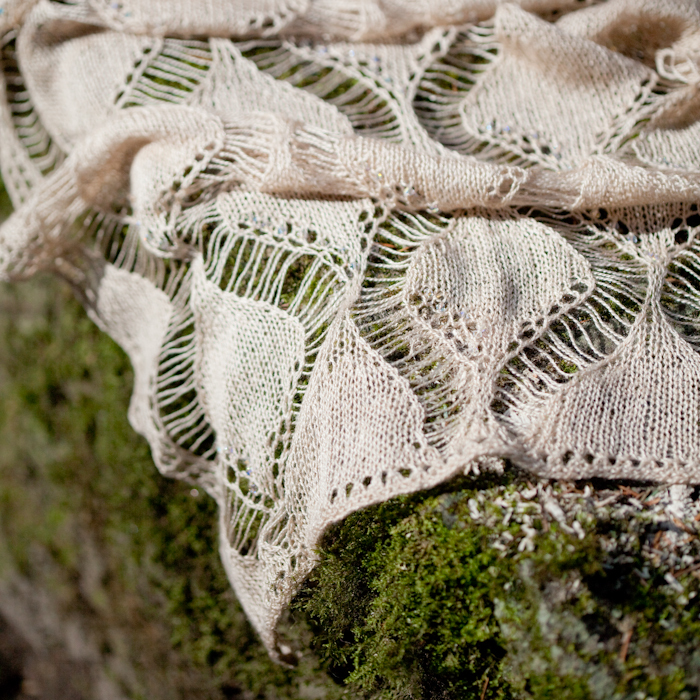 I enjoyed the pattern itself, although it took me a while to get used to the fact that only one half of the shawl was charted, as both sides are mirror images of each other. 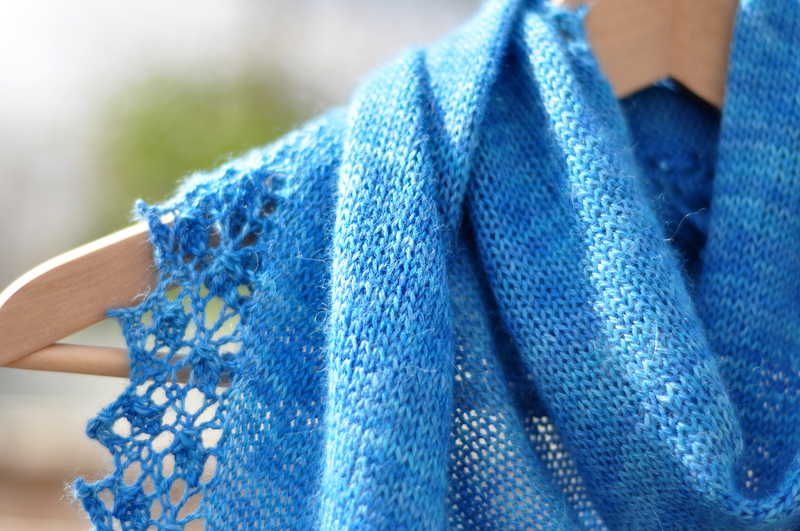 But once I got into it, that shawl has a lovely rhythm to it. I actually finished it surprisingly quickly. The yarn is delicious, so soft and smushy. 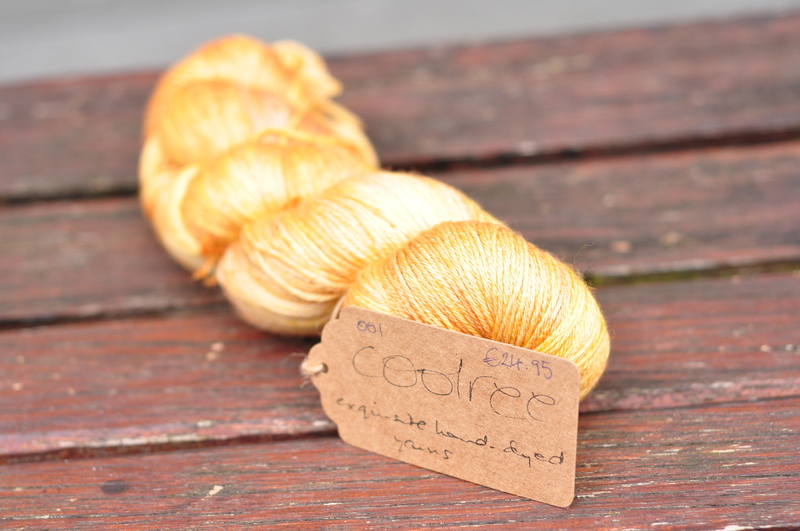 The alpace, silk, cashmere blend is so soft and so lovely to work with. It has blocked quite well but I suspect it’s so soft I suspect it might need to be regularly blocked to keep the lace crisp. 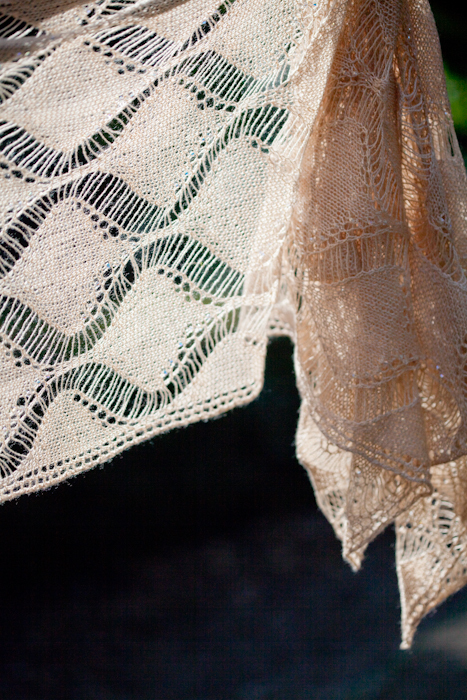 Summers in Ireland are never really summers so a light, delicate shawl like this one will be a great accessory to have. Oh, and I treated myself to something tasty as a reward for surviving the semester. More Coolree, I’ve become a bit obsessed with ochre recently. I don’t know what it’s going to be, I just really wanted to have it. The next project on my needles is a bag in grey with an ochre fabric lining. Lord knows how I’m going to actually line it but I’ll figure that out later. I read two posts last week that combined sucked me into the Color Affection craze. 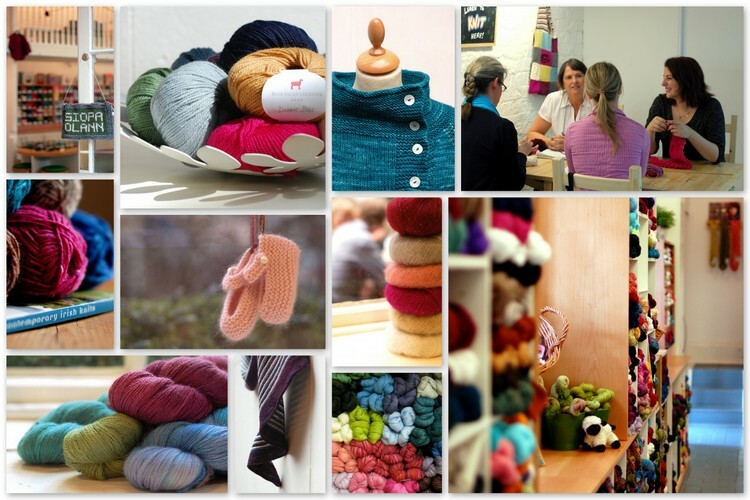 The first was my local yarn shop’s blog where the staff have gone mad for the pattern. The second was this fabulous version in vivid green combined with shades of grey. After seeing these posts who could resist? My LYS, This Is Knit, then decided to do a mini-KAL on their Ravelry forum. Clearly I no longer had a choice. 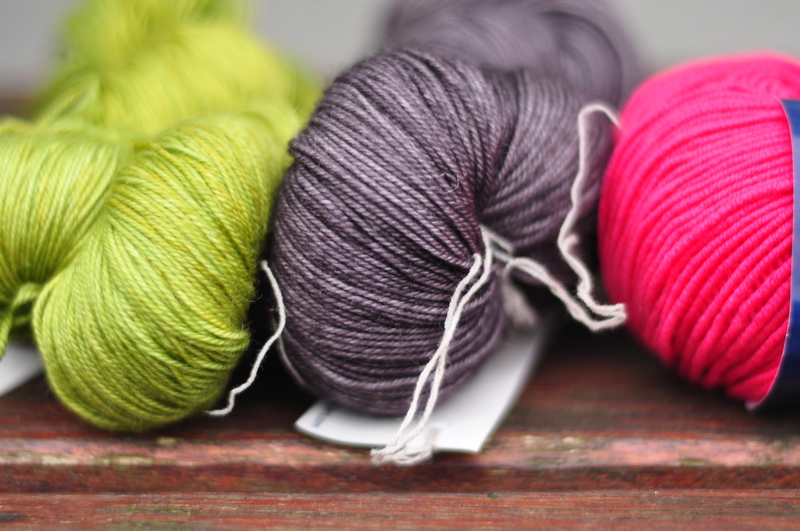 I spent hours, and I do mean *hours* pouring over colour combinations on the Ravelry project pages. I wanted to research what made a good colour combination before starting out (some people have dreadful taste – there I said it). I’m going to preface the next paragraph by saying this is all just my opinion from looking at what I consider successful combinations on the project pages. I feel you need at least one, if not two neutral colours, so for me that means white, cream, grey, navy, black or even some very pale colours. If you go for two neutrals, then a really bright third colour works great. If you go for one neutral then two contrasting colours seem to work best, colours that are too similar seem to blend into each other and get lost. 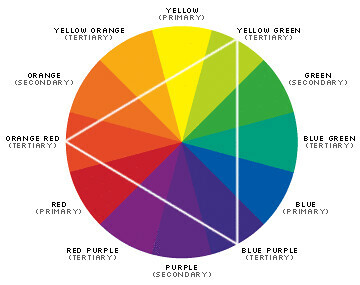 Thinking of the colour wheel you get yellow and purple, red and green, blue and orange. I think two shades of the same colour might work too, so a very light green with a bright green for example. I would also put the neutral as the second colour in this case too. And I’ve seen some beautiful monochrome versions too, using all neutrals or shades of the same ccolour. Solid colours also seem to work best as with variegated yarns the colour changes just get lost. There are just so many combinations, it hurt my brain. I headed into This Is Knit yesterday clutching a voucher my SIL gave me for Christmas and determined to find my perfect combination. I picked out a range of colours that appealed to me and spread them out on a table and together with N, who works in This Is Knit, we set about putting different combinations together. When I put the green and pink together I knew I was on to something. I put a light grey with them and then a black as the neutral but wasn’t completely happy until I sandwiched the eggplant between them. Bingo. They just spoke to me. 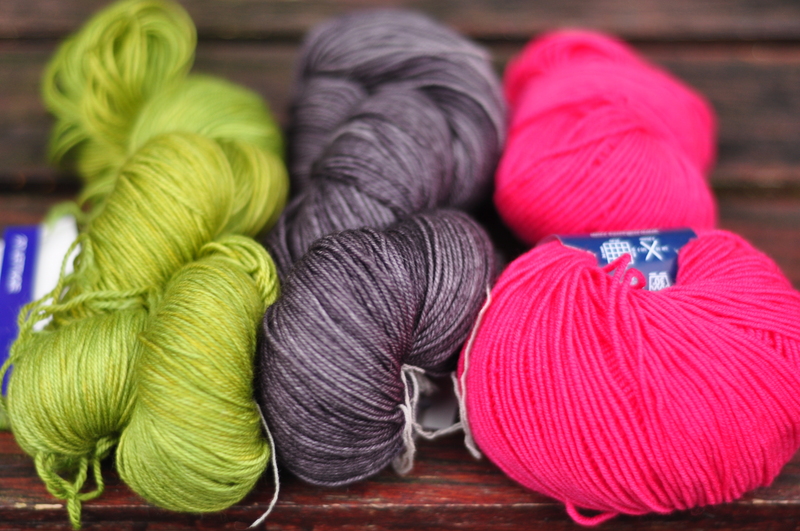 So my final decision was Malabrigo Sock in Lettuce and Eggplant with Millamia in Fuchsia. The eggplant can look more like a dark grey or a dark purple depending on what it’s with, but it will help tone down the vividness of the lettuce and fuchsia. I can’t wait to get started now, although given that a new semester has just started back in college, I’m not sure how much knitting time I’ll have. It’s nearly December, which means it’s nearly time to start thinking about Christmas. I’m back in college this year which means two things. First, I have very little disposable income. And second, I’ll have a few weeks off before Christmas so I’ll have time to get crafty. 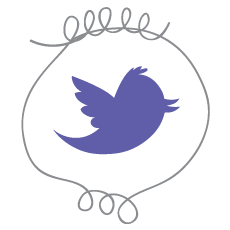 I’ve been pinning some ideas for the last few months and my plan is to create some special handmade Christmas ornaments to give as gifts. So (in no particular order) here’s what have collected so far. 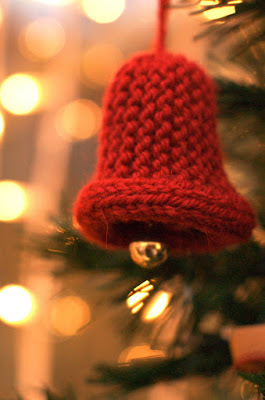 Last year I knit the Christmas Bell above and it has inspired me to try some more ornaments this year. Thanks to Jewelan’darlin’ for letting me use her photo. 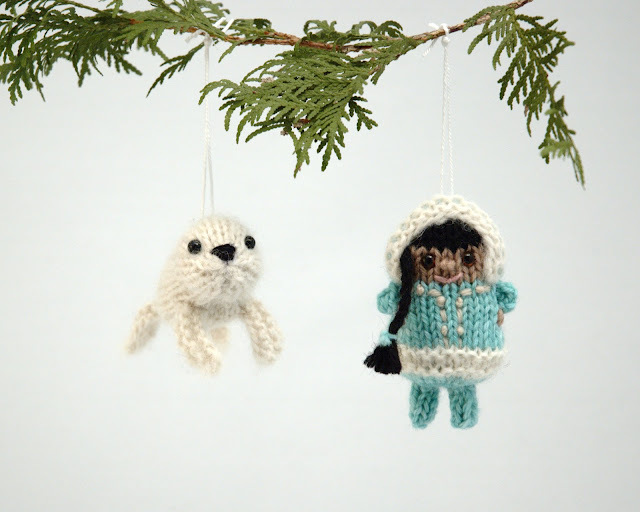 How cute is this inuk and baby seal from Fuzzy Mitten. I think these will look amazing on the tree and I would think they’d take about an hour each. You can find the free pattern on Fuzzy Mitten’s Blog. 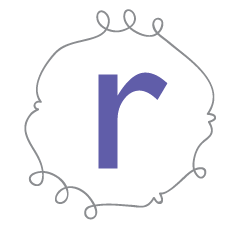 I found some really cute patterns on Ravelry too. I found this free pattern for a knitted acorn, a gorgeous yarn basket ornament, Stjärna a knitted star that looks really pretty, Mochimochi Snowmen although this isn’t a free pattern. I love burlap and all things a bit rustic so I really love the look of this burlap Christmas ornament. The same blogger also has a great mini felt stocking tutorial. If you have any other favourites, please let me know in the comments. I’ve always loved brickwork. I know, what an odd thing to say. But the texture and the colour variation in exposed brickwork have always appealed to me. When I was doing the Project Photography workshop I started to think about our back wall. When we moved into our house it was pink. Yes, our back wall was pink and I swore it would be the first thing we changed. Well you can guess what happened – nothing, we never got around to painting it. So when I suggested painting it white a few weeks ago R gladly obliged. 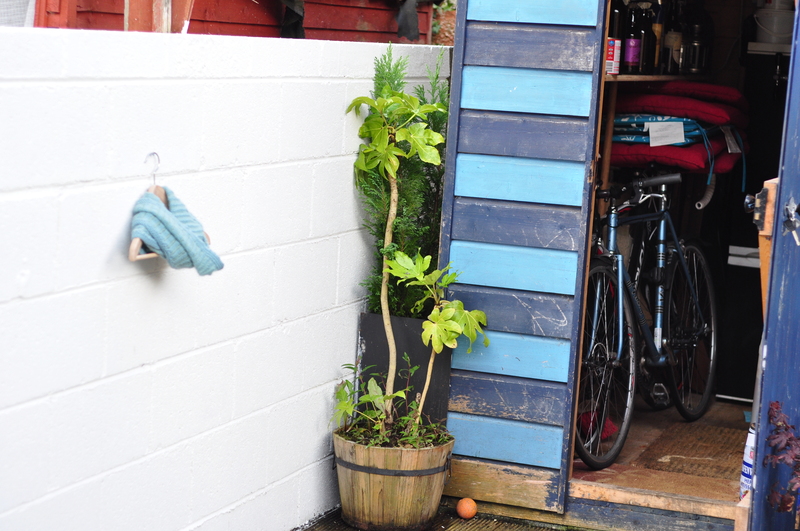 And now I have a fabulous outdoor studio for photographing my knitting. It provides a clean, white background while still retaining some texture and interest. Whoop. So of course I got straight to work photographing my two latest project, a cowl for me and a cowl for R. We’re all set for winter in this house. 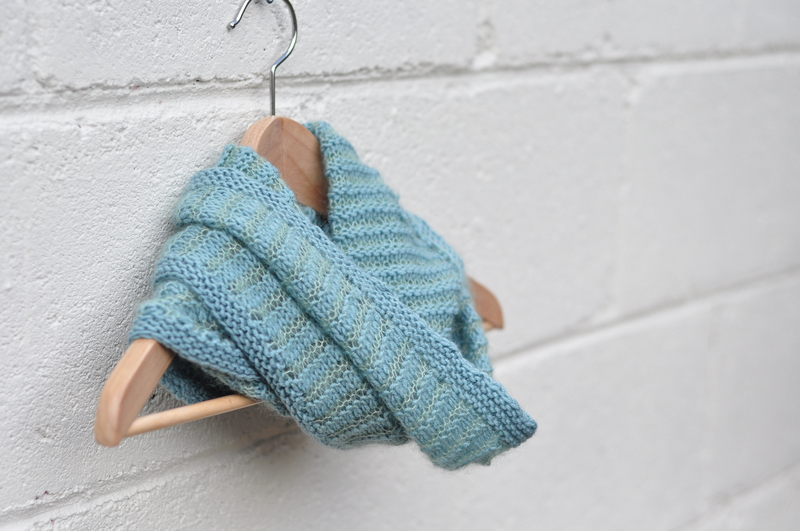 The first is my Seagreen cowl, the pattern is the Slushie Cowl from This Is Knit. I used two balls of Debbie Bliss Rialto in Aqua and about half a ball of Debbie Bliss Angel in Jade. I love the mixture of textures and colours in this cowl, I can’t wait to wear it. The texture is created with a simple but effective mixture of knit and purl rows and the contrasting texture of the two yarns. LOVE. IT. I blocked it when finished, but this flattened the texture a bit too much for my liking, so I’ve unblocked it, so to speak, since taking the photo above. 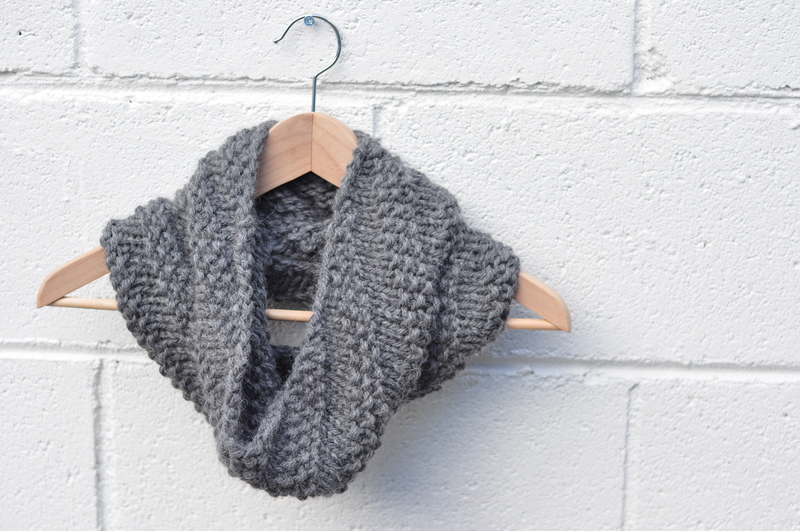 Next up is R’s April in Paris cowl. This was knit with yarn bought on our honeymoon in Paris, La Droguerie Baby Douceur. This is 100% baby alpaca and is DIVINE. Using the magic that is Ravelry Pattern Browser I searched for suitable cowl patterns based on yarn weight and yardage and R chose his favourite. This was knit with 10mm needles and knit up in about 3 days, the fastest I’ve ever finished a single project. Seriously, why don’t I always knit with 10mm needles? If you click through to the Ravelry project page above you can see a photo of R trying his hand at modelling. What do you think of my new outdoor studio?? Today I am going to tell you about a photographer that I admire. I discovered her work through Ravelry when I clicked through to her blog. I was blown away. 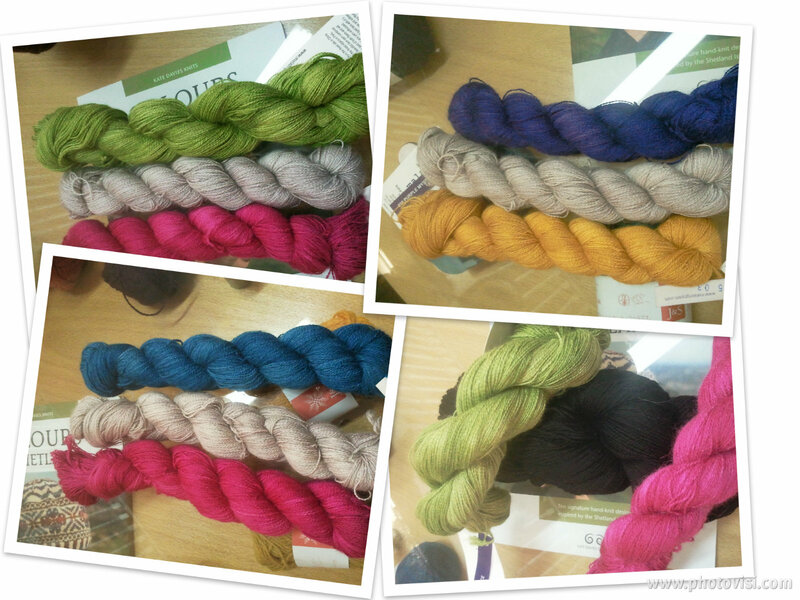 In fact I even sent her a rather embarrassed message on Ravelry telling her how much I loved her photos. Julie showcases her work at halfadreamaway and has a way with light that I will forever be in awe of. When she offered to shoot our wedding I nearly bit her hand off. We went to Masseys Wood in the Dublin Mountains last weekend to take some photos of us and the dogs as well as some photos of the shawl I knitted for the wedding. If you’re looking for something to do of a weekend I highly recommend a trip to the Dublin Mountains. So close by, so beautiful and so forgotten about by many. Masseys Wood is also quite flat compared to some of the walks which is why I particularly like it. 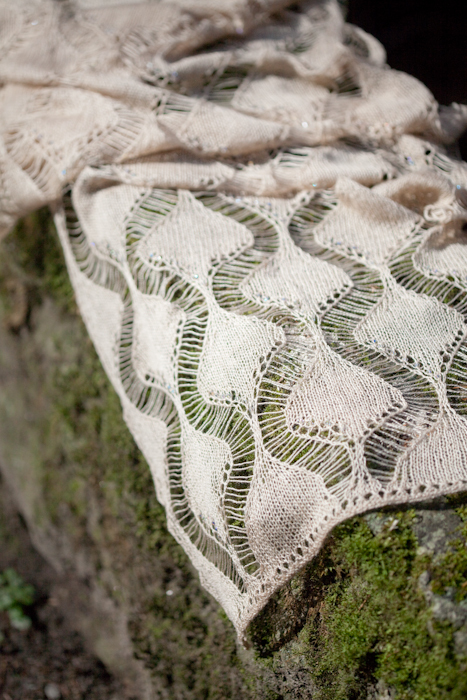 Anyway, without further ado here are the *beautiful* photos of my Ballybeg shawl. They really need no blurb, they speak for themselves. See what I mean about the light? So go take a look at Julie’s fantabulos blog, where Ollie and Mia have even featured. Go now. Right now. Off you go. But come back then please.